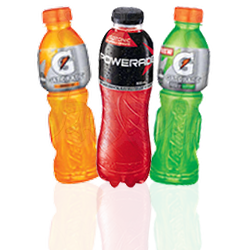 Sports drinks are a very popular choice for vending machines in and around sporting facilities, gyms and in public spaces. With a wide range of flavours and brands available, we can customise the contents of your vending machine to include sports drinks. You can even opt for a vending machine full of sports drinks, encouraging rapid hydration & providing a flavorsome energy boost.